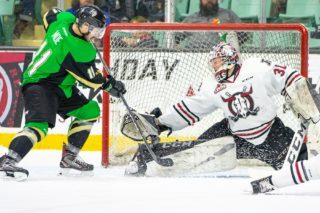 PRINCE ALBERT — On a night when their maligned power play came up big and they made Prince Albert Raiders netminder Ian Scott look human, the Red Deer Rebels still came up short. 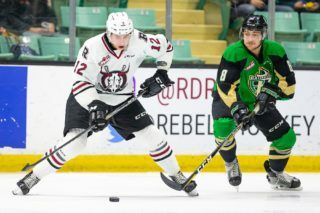 The Rebels were three-for-four on the power play and also notched an even-strength marker Saturday, but fell 6-4 to the Raiders, who grabbed a 2-0 lead in the best-of-seven WHL Eastern Conference quarter-final. 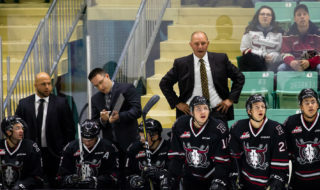 “We weren’t as good tonight in the neutral zone and in our zone,” said Rebels GM/head coach Brent Sutter, whose club was stellar defensively in a 3-0 Game 1 loss Friday. “I thought we have up some tough goals. Nevertheless, the Rebels find themselves in a tough spot heading into Game 3, slated for Tuesday night at the Centrium. The Raiders appeared to be in complete control following the opening period of Saturday’s contest witnessed by a sell-out throng of 3,152 at the Art Hauser Centre, heading into the first intermission with a 3-1 lead. 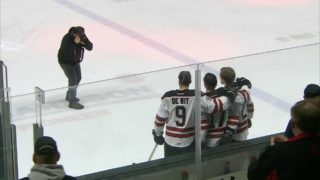 Alexei Protas beat Rebels netminder Ethan Anders from the high slot at 6:04 and fellow import Sergei Sapego notched a power play goal just over two minutes later when his point shot found the back of the net through a screen. Chris Douglas, with Red Deer on the power play, cut the margin in half with a redirection of a point shot by Ethan Sakowich at 14:55, the Rebels’ first shot of the period, but Sapego restored the hosts’ lead to two with a fluke goal at 16:19, his crossing pass glancing off Sakowich and past Anders. The second period was controlled by the Rebels, who took advantage of a major penalty to Raiders star Brett Leason to draw to within one. Brandon Hagel pulled the trigger following a great individual effort that featured a toe drag after he worked the puck off the side boards. 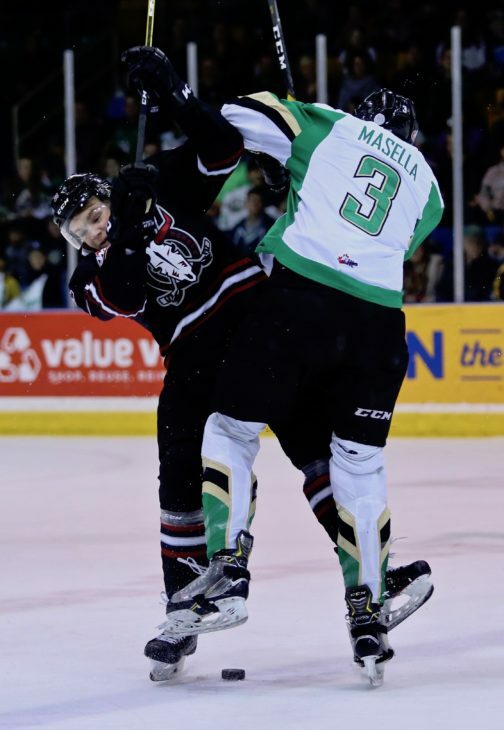 Hagel then pulled the Rebels even when he redirected a point shot by Jacob Herauf that then glanced off a Raiders player. 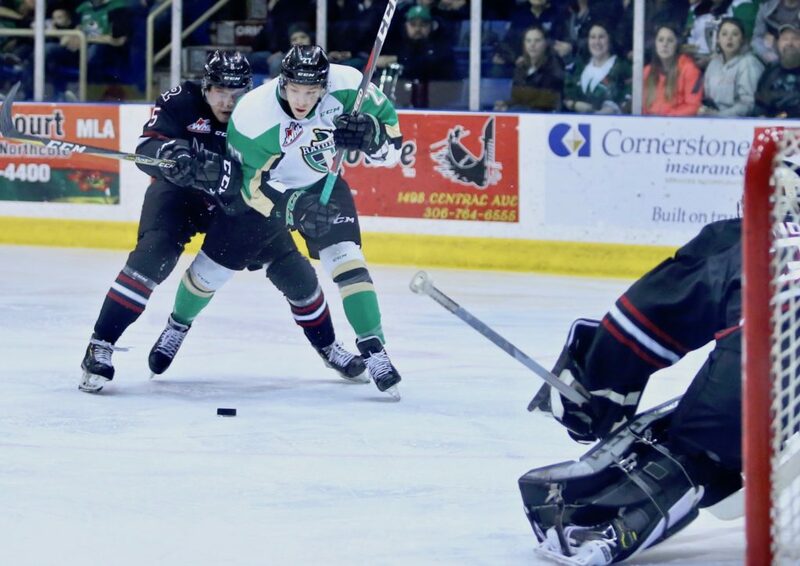 But Prince Albert captain Brayden Pachal countered with a redirection tally two minutes later, and the Raiders pulled away in the first half of the third period on a rebound marker from Protas and Ozzy Wiesblatt’s second of the series. Hagel completed a hat-trick performance with a power play goal midway though the period, tipping Dawson Barteaux’s shot from the blueline past Scott. “You score four goals on the road, it should give you a chance to win the game. But you give up six,” said Sutter. “There were certain areas we weren’t as sharp as we need to be, certain things about the way we played in our own zone, and maybe Andy (Anders) wishes he could have had a couple goals back. It’s just the type of mistakes we’re making . . . tonight there were some soft plays in reading situations. Notable: While he looked a bit shaky on Protas’ second goal, Anders stood tall with a 25-save effort. Scott made 19 saves . 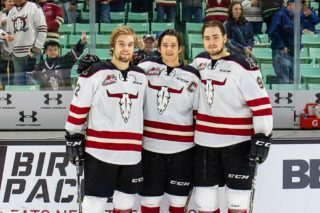 . . Protas, Sapego and Hagel were selected as the game’s three stars . . . The Raiders were one-for-three on the power play . . . The fourth game of the series will go Wednesday at the Centrium.